In the sixth things again looked tip. Cheshro flew out to McFarland. and Elberfeld reached first on Weddige's error. He went to second on the single by Elsey. Then Hargrove sent another out to McFarland just to keep his hand in. Sholta singled, and right here Is where Elsey made a bad piece of judgment. Elberfeld sprinted to third on Sholta's hit, and ran off the bag. Elsey went to second, and started to third, forcing the Brownie, who was caught between third and home, Elsie and Sholta both dying on bases. 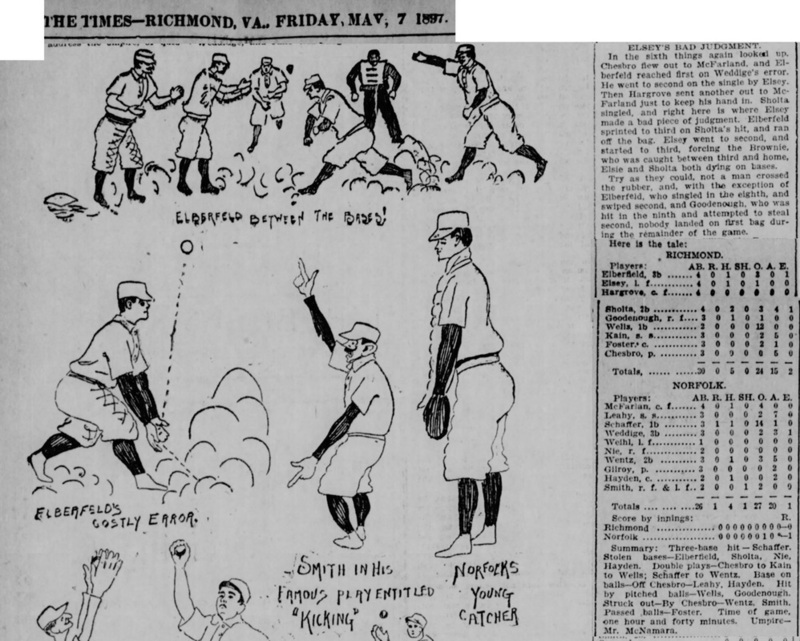 Try as they could, not a man crossed the rubber, ;Ind, with the exception of Elberfeld, who singled in the eighth, and swiped second, and Goodenough, who was hit in the ninth and attempted to steal second, nobody landed on first bag during the remainder of the game.